Miso is an essential part of any Japanese pantry and a key component of dishes like mabodofu (tofu and ground meat), dengaku tofu (grilled tofu with miso), miso ramen, Nobus signature miso cod and, of course, miso soup. It can be used in a myriad of ways, as a salad dressing, dip or a pickling medium for fish and vegetables. Miso is made by fermenting soybeans and is rich in protein. Its believed to help prevent cancer, heart disease and liver disease; cure colds; aid digestion and improve metabolism. Miso comes in various forms: smooth, chunky, sweet, salty, dark and light. 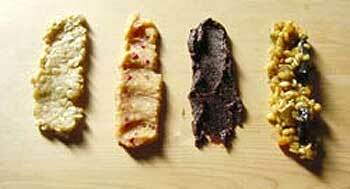 Sendai miso is one of the most popular types and can be used in a variety of recipes. From Kyoto, there is white, sweet and silky Saikyo miso (aka shiro miso), used for dressings and sauces more than for soup. And from Aichi, the dense, dark, fudge-like Hatcho miso is used mostly for miso soup and known for its rich astringency. To soften the flavor, you can blend Hatcho miso with white or yellow miso, a technique called awasemiso. Most department stores carry a selection of miso types, and you can purchase small packages of about 100g. Miso will keep in the fridge for up to a year, although miso vendors sometimes suggest keeping it in the freezer. If you are keen to incorporate miso soup into your daily diet, then invest in a misokoshi strainer, which will allow you to blend the miso into the broth, while holding back the chunky bitsunless you like chewing your soup. Kinzanji miso and moromi miso are two particularly chunky varieties filled with whole-grain barley or wheat and pickled vegetables. They can be quite sweet and make a great dip for crudité, such as morokyu, a typical izakaya dish - crispy cucumber served with a slather of moromi miso. The pre-packaged, concentrated miso soups that only require you to add water are surprisingly good. For simple dressings on salads or blanched greens, you can also buy various types of packaged nerimiso, or miso that has been sweetened and flavored with vinegar (sumiso) or walnuts (kurumi miso) or sesame (goma miso). Miso is not limited to Japanese cuisine - it will add depth to any dish, such as tomato sauce for pasta, stews, gratins or chowders. Try adding a bit of miso to the mayonnaise in your next potato salad. Miso packs a punch and will add depth to your dishes. This makes a good dressing for vegetables, especially wakame and cucumbers. In a small sauté pan, combine the miso, sugar, sake and water and stir over low heat until it thickens to a paste. Incorporate the vinegar and it is ready to use. If you like some heat in your dressings, add Japanese karashi mustard to taste at this point. This is an addictive dressing for blanched greens, such as green beans or broccoli, and also makes for a creamy, nutty salad dressing. In a small sauté pan add the nerigoma, miso, sugar and mirin and stir over low heat until it thickens to a paste. It will be quite thick at this point. You can soften it up with some dashi. There is almost no limit to what you can put into your miso soup. Small clams (asari or shijimi) give the soup the rich taste of the sea. A variety of seasonal vegetables include potatoes, pumpkin, cabbage, bamboo shoots or nameko mushrooms. Aburaage tofu, daikon and natto are available year-round. As a hearty alternative, tonjiru is always satisfying, packed with earthy gobo burdock root, pork and vegetables. In a soup pot combine carrots, potatoes, gobo, konnyaku, shiitake mushrooms and green onions, all cut into bite-size pieces. When the vegetables are soft, add thinly sliced pork and dashi-iri miso. Sprinkle with sesame oil and shichimi spice before serving.